To fully explain the meaning of the words, ‘raw’ to this brand means that nothing they do is heated so everything used retains a higher density of nutrition for the skin. The meaning of ‘organic botanicals’ is exactly as it sounds – plant based recipes that are sourced totally organically and are synthetic-free. 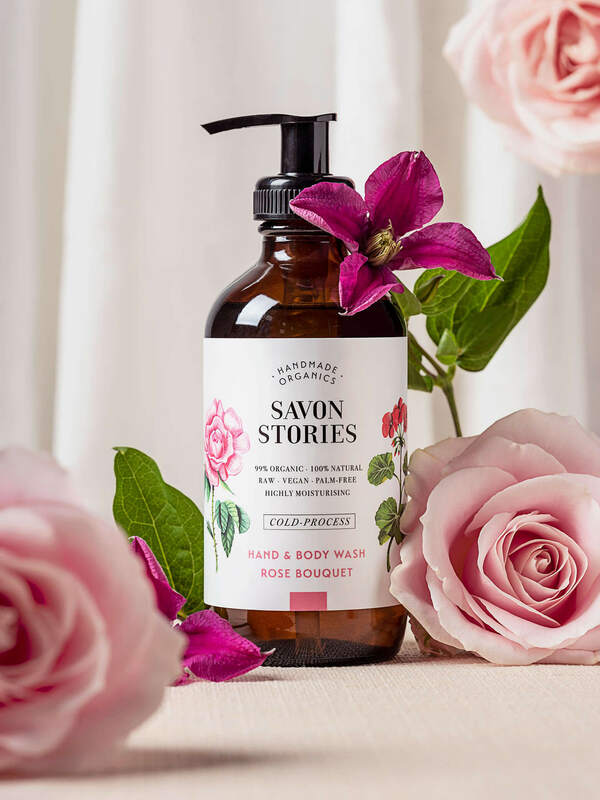 Savon is the French word for “soap”, but it’s the word “stories” that really offers insight into the healing properties of the brand’s products that come from nature. The chemical information in an organic plant oil connects you to the natural world where the plant came from – so, the soil, the quality of the air, the environment, the minerals, all play a part in shaping the quality and character of that plant. 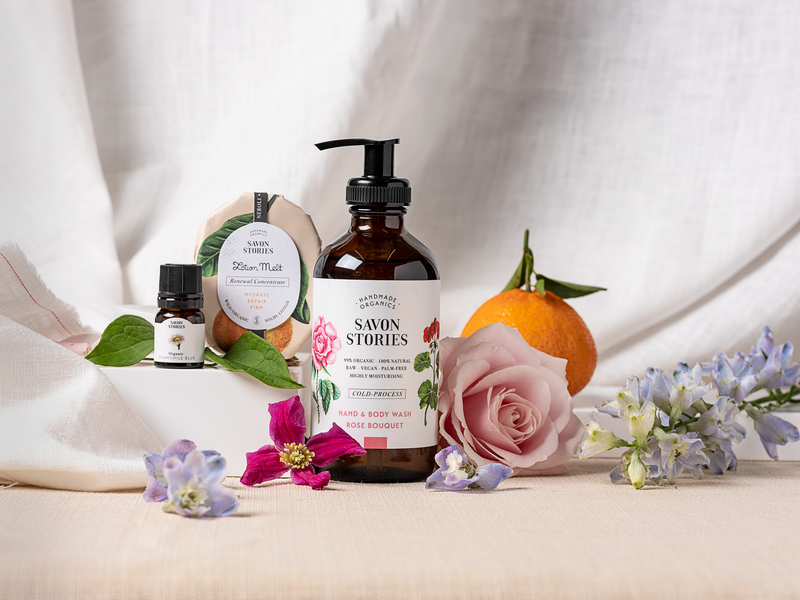 For Savon Stories, this is important in how the plant will speak to your body and how these plants will benefit your skin. The inspiration for Savon Stories came from the wisdom and character of their grandfather who lived for 115 years, with a minimal, raw diet. They describe him as “tall, generous and mild-tempered”, and he lived on a simple farmer’s diet of fresh, raw foods in small portions. They strongly believe that this minimal consumption was one of the key reasons to his long life, and the idea of ‘Raw Minimalism’ was coined by Moute, her husband Ray and their family. It’s an old heritage and the concept of this is simple. Nurturing the best of good, green Earth and being rich with less, rather than more. 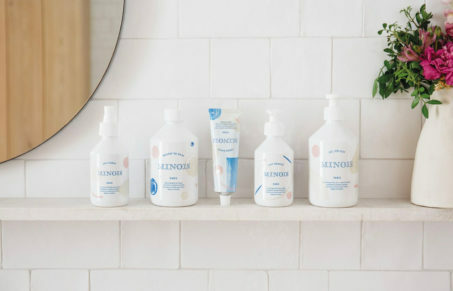 The brand was hailed from rural Morocco and West Africa, and the products are handmade in 2 workshops – one in Surrey, England, and the other in Provence, France. This allows customers to choose between English or French made products, and the items are packaged in those respective languages. 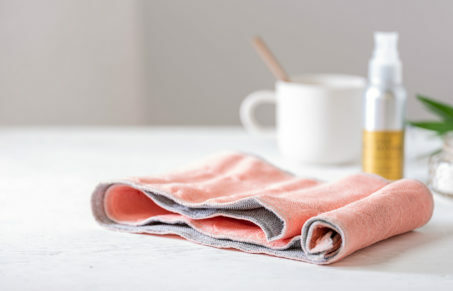 All about pure botanicals, these are unheated to retain their effectiveness for enduring health and beauty and Moute uses the tools handed to her by her grandfather, creating organic soaps and products that cleanse the body’s ‘second stomach’. 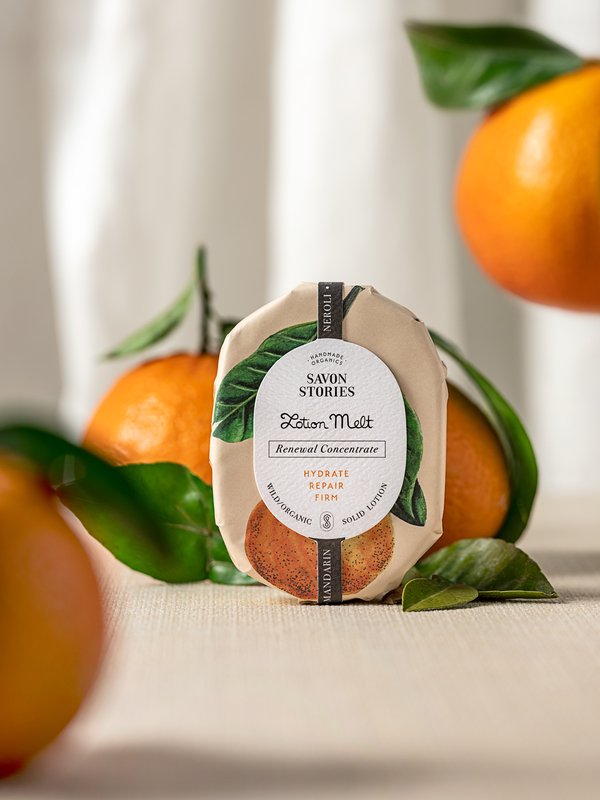 With the idea of the skin being ‘a second stomach’, they took this approach when creating Savon Stories, formulating recipes and using Moute’s grandfather’s approach to create the brand. Moute, who was raised by her grandfather on the family farm, used this to handcraft organic remedies for enduring health and beauty. She always ensured she used rich and raw botanicals that were kept as close to their natural state as possible to retain all of the goodness: nutrition, purity and trueness. This floral, rich and textured Hand & Body Wash is 99% organic and 100% natural, as well as being raw and vegan. Being cold-processed means that it retains the nutrients of its oil-based recipe, making it highly moisturising and nourishing. The mixture is cured in a barrel (in a cool basement for a few weeks), making it a unique process. With essential oils of sweet & delicate rose, it creates a real aroma, reminiscent of the flower. This organic essential oil is an ancient, distilled oil from the flowers of the plant. 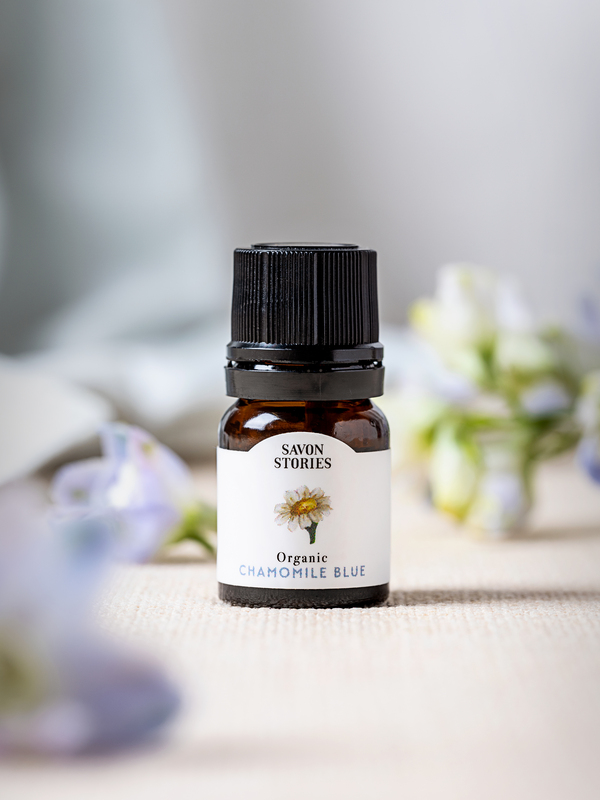 Perfect for skin irritations and youthful skin, the “blue” variety of the flower has a high content of ‘chamazulenze’, which enhances the oil’s strength in nourishing the skin. It’s also known to be a powerful aide for soothing anxiety and inducing a deep sleep. A waterless, solid lotion that’s made entirely of a mix of 8 butters and 3 essential oils, making it ideal for intensely dry, sensitive skin. It melts when massaged into the skin, delivering a surge of protective antioxidants, repairing micronutrients, hydrating fatty acids and powerful, regenerative essential oils.